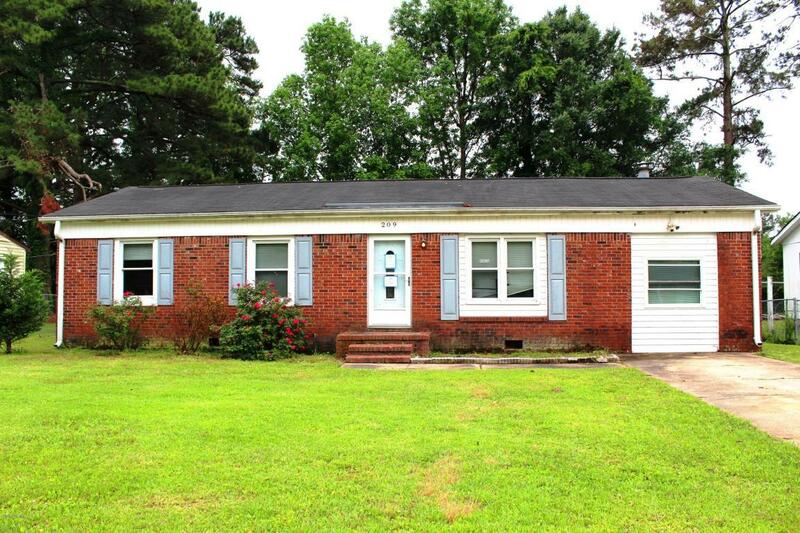 Come see the potential in this 3 bedroom home located just outside of the city limits! This home features a living room and a den. The den boasts a vaulted ceiling, built-in storage and a wood stove. Beyond the living room is an updated eat-in kitchen with built-in window seat. The three bedrooms are nestled on the left side of the home, along with the full bathroom. This home also features an enclosed back porch. The back yard is fenced in, with a shed for additional storage. Set up a time to see this home today! Property was built prior to 1978 and lead based paint potentially exists. Lot Dimensions: 74x150x77x151 *Lot dimensions are estimated.